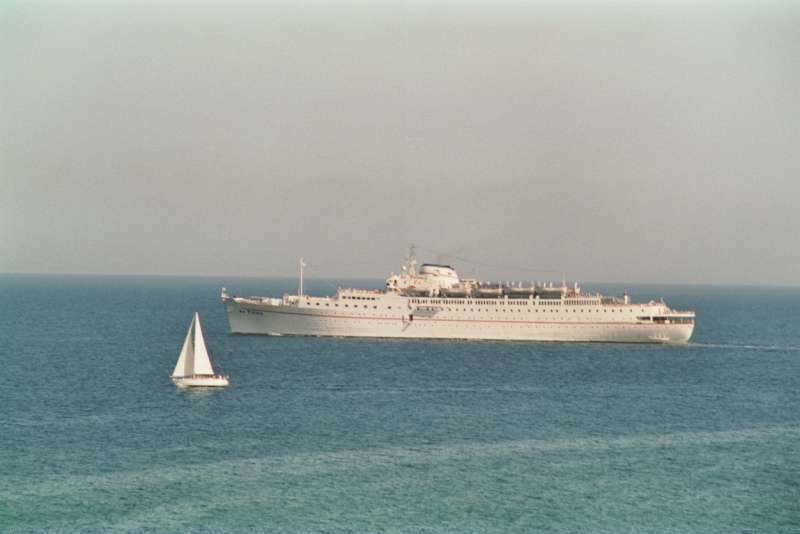 M/V LA PERLA is leaving Rhodes in October 1993.
from 1980 - 2003 she was La Palma. Details on the site are crap as she was built as Ferdinand de Lesseps. In 1993, she was La Palma for sure!!!! As far as I know, her name was La Perla between 1977-1980! This photo has been shown 2,028 times since it was added to the site.